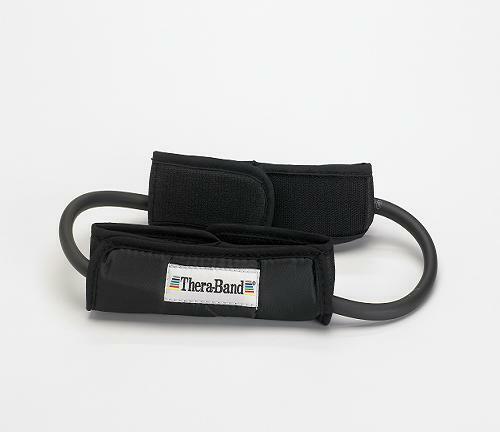 Ideal for rehabilitation and advanced sports training. 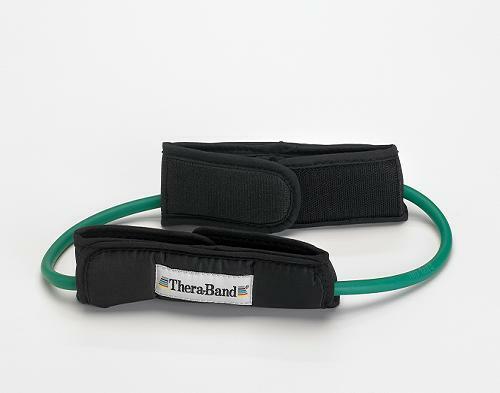 TheraBand® Resistance Tubing Loops with Padded Cuffs are a valuable tool for Physical Therapists, Chiropractors, Occupational Therapists, Athletic Trainers, Personal Trainers as well as their patients. 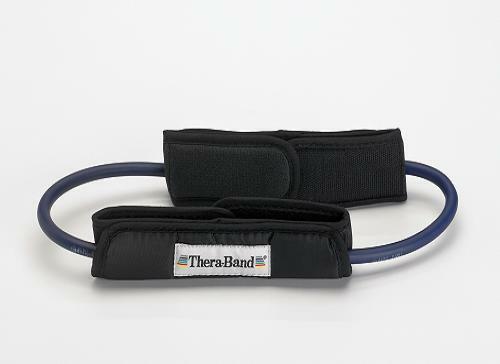 Versatile design; supports a wide range of exercises and can be integrated with other TheraBand® resistance and balance products. 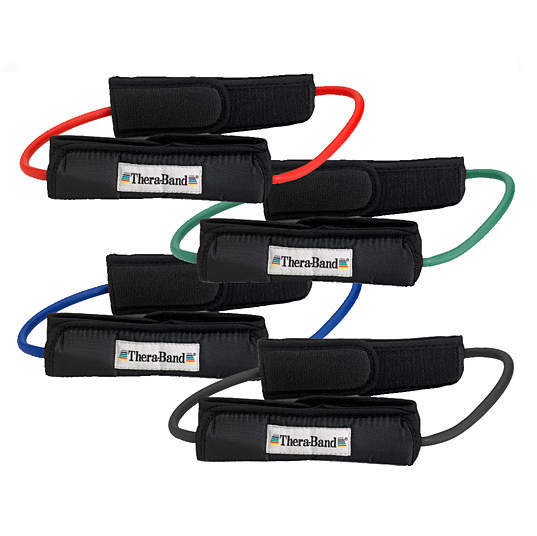 Compact and lightweight - portable, can fit into a gym bag or carry-on to be taken on location. 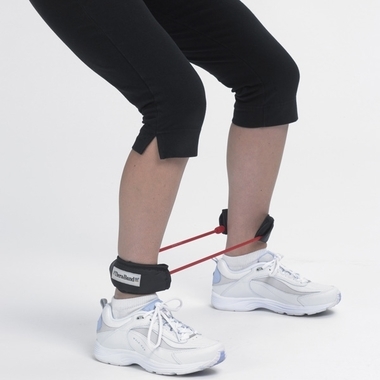 Padded cuffs offer superior comfort and the assurance of a non-slip fit. Continuous loop - easier and faster to use. 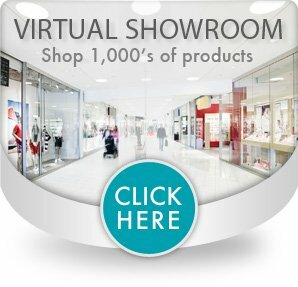 Ready-to-use clinical or home solution. 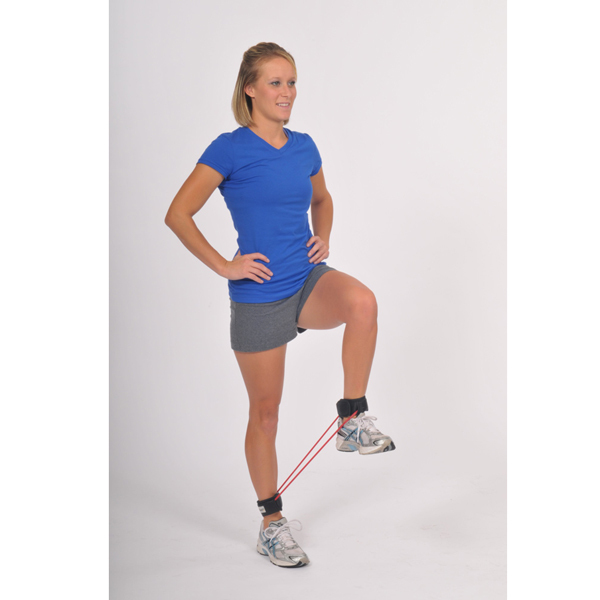 Training guide offers comprehensive instructions and illustrations for exercises, by body target area. 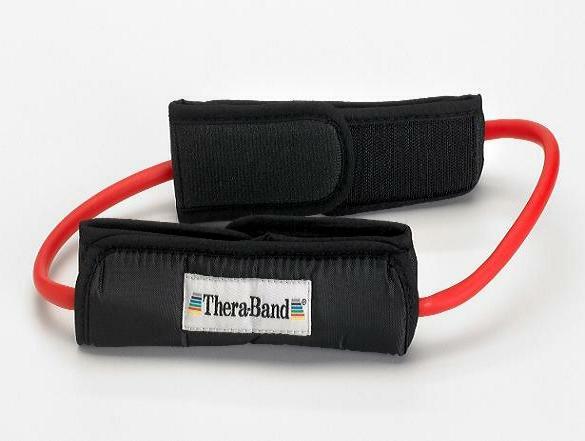 Carries the American Physical Therapy Association endorsement for TheraBand® Tubing. Available in 4 resistance levels. Loops measure 28" long (71cm).